Spring is just around the corner, and the change of season will bring with it plenty of rainy days. For many homeowners, this is the time of year when they realize they need to replace their windows. After all, the high frequency of rain makes it easier to notice problems, such as leaks. To help you better understand if your windows need to be replaced, keep an eye out for the warning signs listed below. If your windows are very old, they may develop small cracks that allow air to escape your home. This means heat created by your furnace—and the cool air from your air conditioner—will go to waste. As a result, your HVAC system will have to work harder to maintain a comfortable temperature. This will likely lead to a sudden increase in your electricity bills. To avoid this problem, opt for new, energy-efficient windows that will prevent air loss. Additionally, windows that need to be replaced tend to have decaying frames. As this wooden portion of the window is exposed to moisture over time, it will begin to warp. This will cause your windows to become more difficult to open and close, inhibiting their functionality. If you regularly see condensation building up on the inside of your window, this is a sure sign they need to be replaced. This moisture buildup could lead to mold and rot, which pose a safety risk to you and your family. 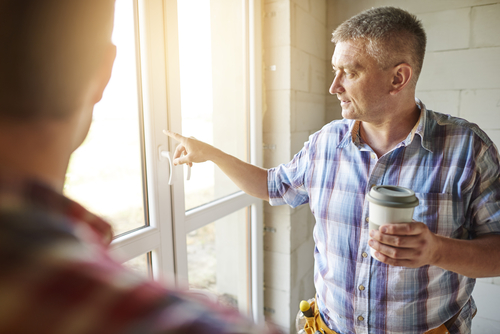 If you want to replace your windows this spring, turn to the knowledgeable team at Jay Bilt Construction in Livonia, MI. With more than 20 years of experience, this construction company has the skills, expertise, and resources needed to help you keep your home and family comfortable and safe. Give them a call today at (866) 460-9700 to schedule an appointment, and visit them online for more information on their services.